The Sochi 2014 Organizing Committee has published an official app for the upcoming Winter Olympics. While the app is primarily designed to be a digital companion for those attending the games, it's also useful for those who wish to familiarise themselves with the schedule and venue locations for the multiple sports and cultural happenings that make up the XXII Winter Olympiad. The main part of the app is based around an events listings and place guide, but there's also a section for the Olympic Torch relay, news and photos, and web links for buying tickets and getting additional information. Each event and venue gets its own page with a detailed description of what's taking place, along with illustrative photos and videos. Sochi, Similar to the London 2012 Summer Olympics, is set to be the first Winter Olympics where a significant portion of the audience owns a smartphone. 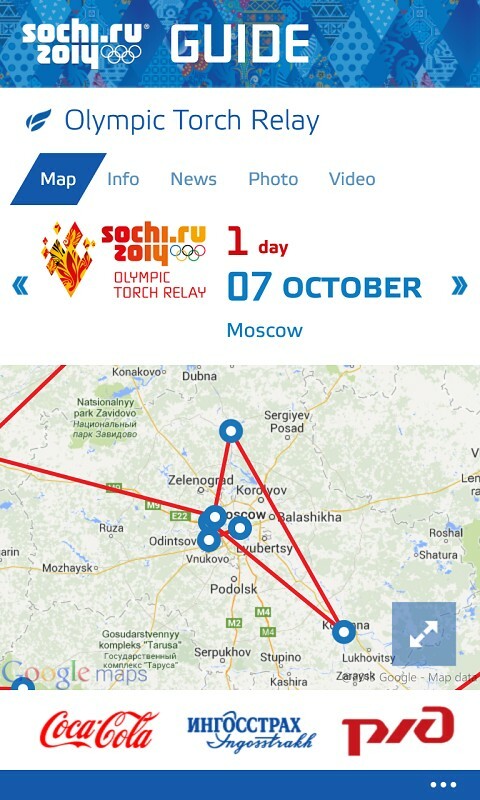 The Sochi 2014 Guide app is just one example of the advanatges to be gained. This application is an online guide for people who are coming to Sochi in 2014 to enjoy performances by the world's best athletes. The application is designed to help Games spectators to better orient themselves in Sochi and at Olympic venues and to choose routes on Olympic transportation. It simplifies following Games news in real time, browsing through the best photographs from the competitions and receiving Push Notifications.